I recently wrote an article about the Blue and White scrimmage for Long Island Weekly. See it HERE. Also, here are a few photos I took at the scrimmage that didn't get posted yet. Now that the season's over, it's time for some end of the year grades. I won't be posting all of my grades here, but here are a few of them. To check out all of the grades, be sure to check out IslesBlog soon. Both of these grades are listed out of 100 possible points. 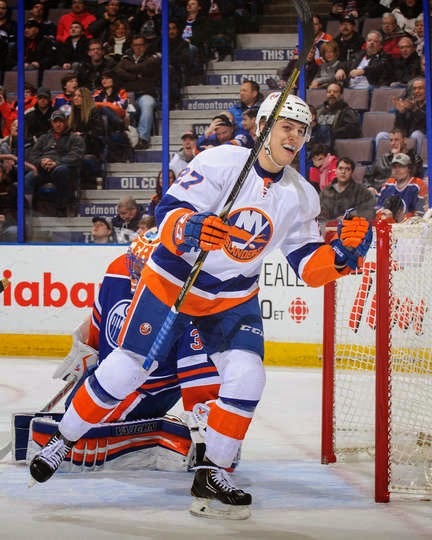 By the time the Islanders called up Anders Lee after the Olympics, their season was already in desperation mode. In the 22 games since his call up, Lee proved he belongs in the NHL, registering 9 goals and 5 assists for 14 points. During that time, Lee also was a +3, a rare stat for an Islander. Although Lee’s numbers are good, he went through an 11 game slump in the middle of his call up, getting just one point between March 18 and April 10. Lee could end up playing with John Tavares next season, which would vastly help his game, but we saw flashes of it late in this season. The former 6th round draft pick earned his spot on the NHL team next season by his solid play this season. Stats wise, Frans Nieslen had a career year, raking up 25 goals and 33 assists for 58 points, all career highs. 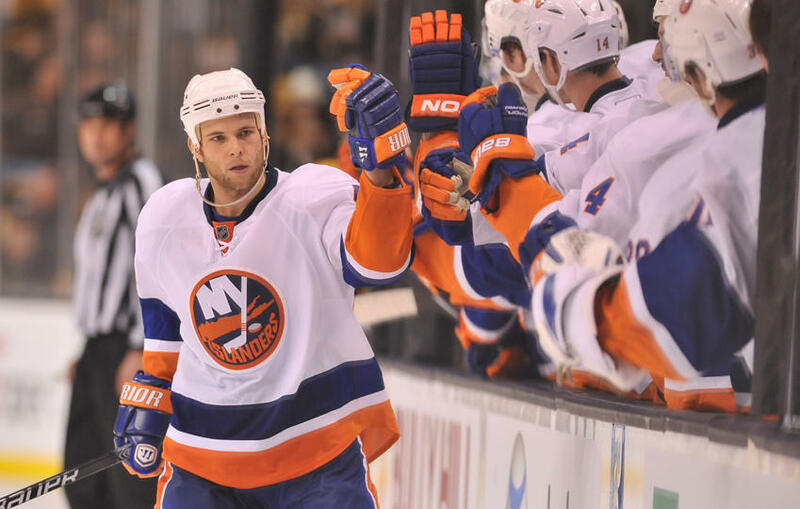 Nielsen scored on 15 percent of the shots he took this season, which is the highest percentage of any Islander. 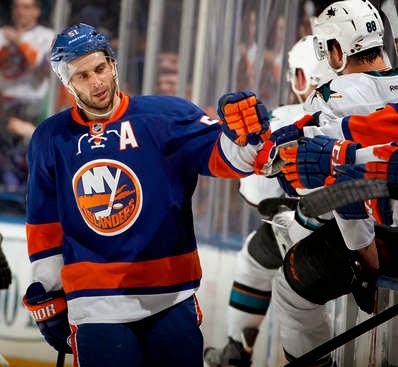 His -11 is no cause for concern because he was healthy all season, and it’s hard to be positive while on the Islanders. When talking about Nielsen, it’s hard to forget about his shootout abilities. The Great Dane took a shot in all 15 Islanders shootouts this season, scoring on eight of them. That put him second in the NHL behind TJ Oshie in shootout goals. With Lubomir Visnovsky out for most of the early season and John Tavares out in the end, Nielsen stepped up and became a first line center and power play point man, roles that he filled admirably. However, Nielsen shouldn’t be in either of those roles come next season with everyone healthy. That's all I will give you for now. 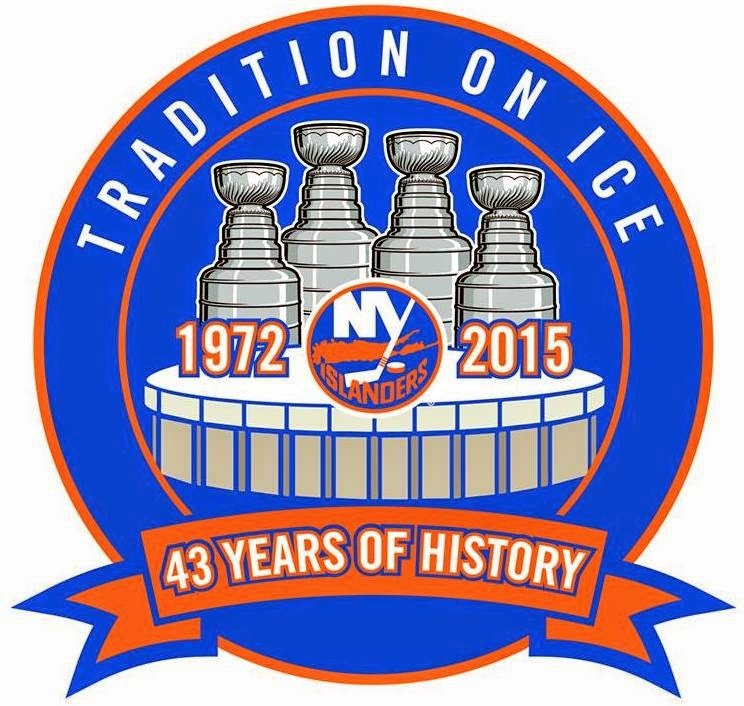 Be sure to check out IslesBlog in a few days. Lets Go Islanders! I went to Isles cleanup day today to try and get a few autographs and talk to the guys. I did that, as you can see on my other blog. When Lubomir Visnovsky walked out, I asked if he would be ready for next year. "I hope so," he said. Johan Sundstrom is all healed from his concussion. Brian Strait (right) will be getting his cast off tomorrow. Everything is looking up for the 2014-15 Islanders, who will be playing for the last time at Nassau Veterans Memorial Coliseum. Try not to cry when watching below. If you are sick and tired of watching this year's team like I am, then you should enjoy the following documentary on the Islanders. Never Say Die...until you are eliminated from playoff contention.